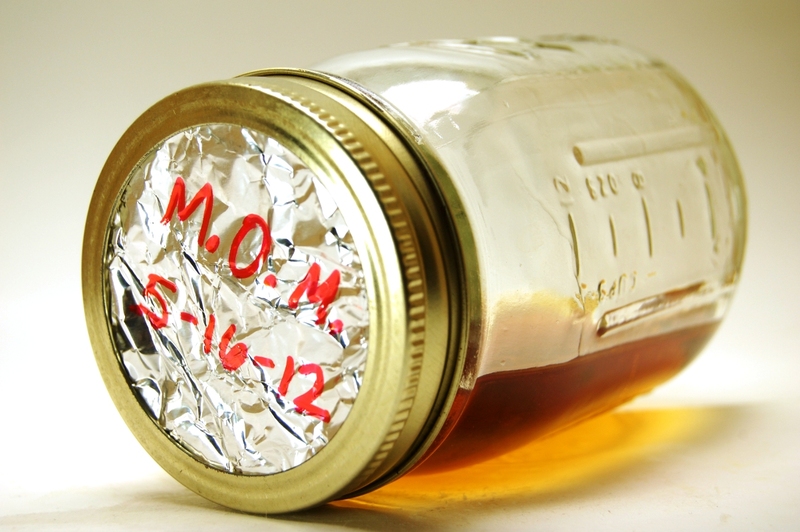 Hey, 'member a few weeks back when I blogged about that batch of Negroni I'd whipped together and funneled into my favorite flask in the name of cocktail-aging experimentation -- and then couldn't hold my wad for more than five days before popping it open? Well, someone sprouted some willpower this winter, as I've since gone a whole month without having a touch or sneaking a taste. Yay, Rosie! I'm a grownup! Also now a full-fledged grownup: My matured Negroni. (I am suddenly picturing those Cheez-It commercials with the juvenile wheel de fromage.) An easy, side-by-side test of a freshly made Negroni and my aged one yields clear differences between the two. 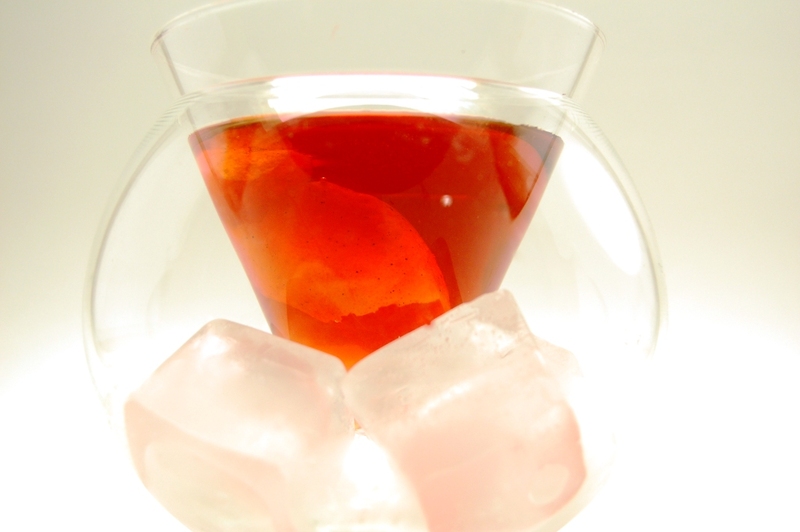 If the fresh Negroni still bears a piquant bite at the finish, the aged one has achieved a complete and total roundness. 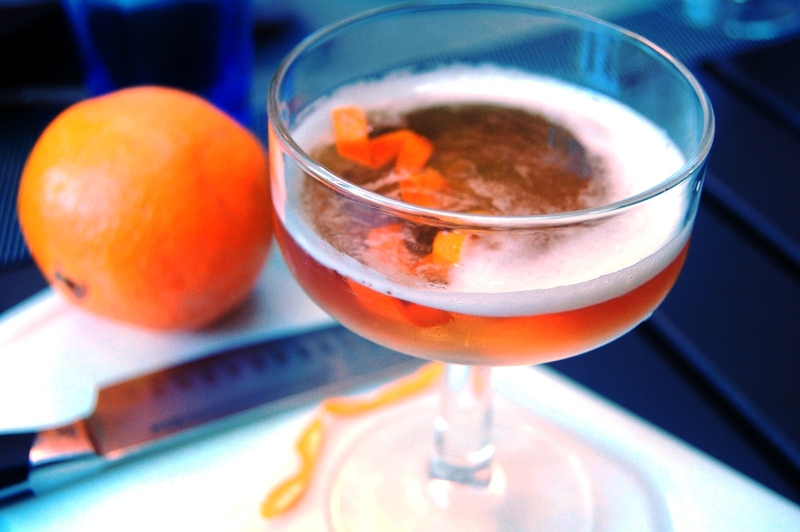 If the fresh one still carries the distinct flavors of each of its three ingredients (gin, vermouth, Campari), then the aged one has significantly mellowed into its own entity. 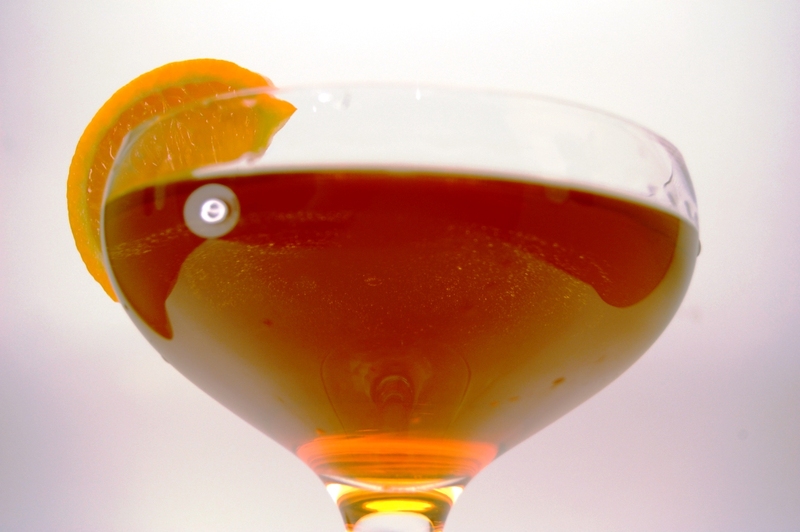 If the fresh Negroni's a fugue, the aged Negroni's a sustained chord. 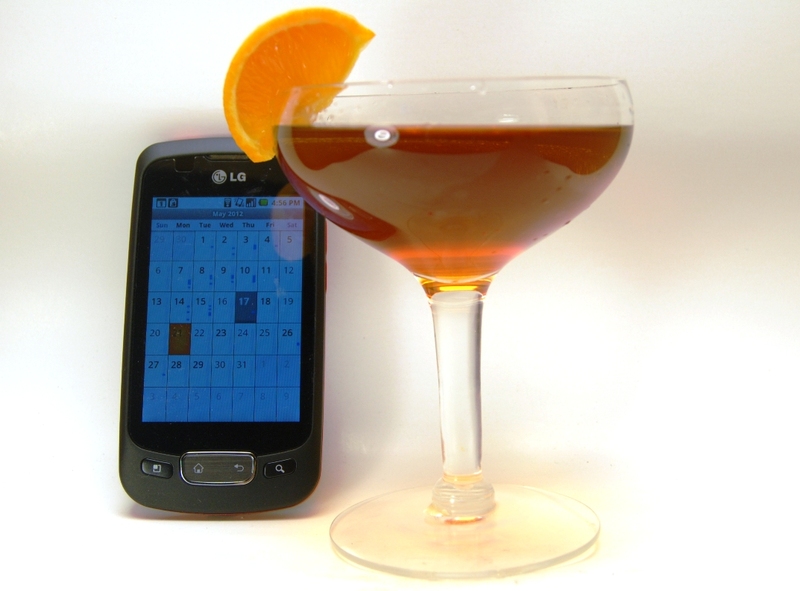 Next up -- aged Manhattans! 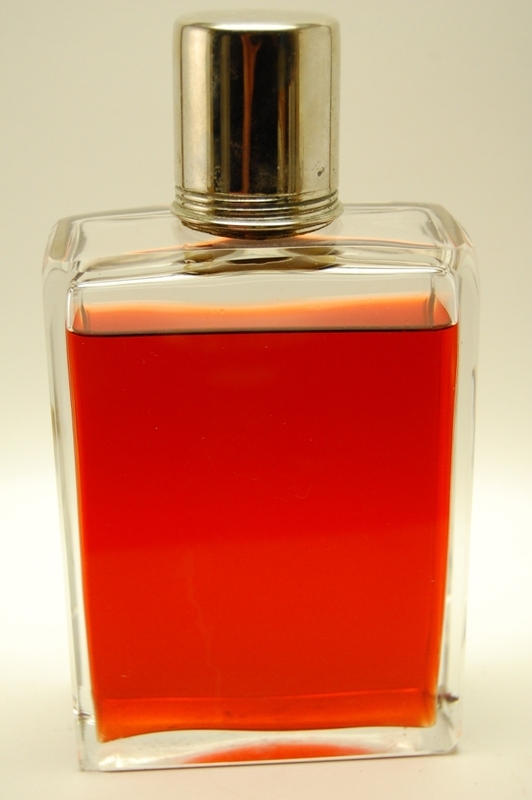 Mix your batch of Negroni with equal parts of these three ingredients. Cap and store and wait. 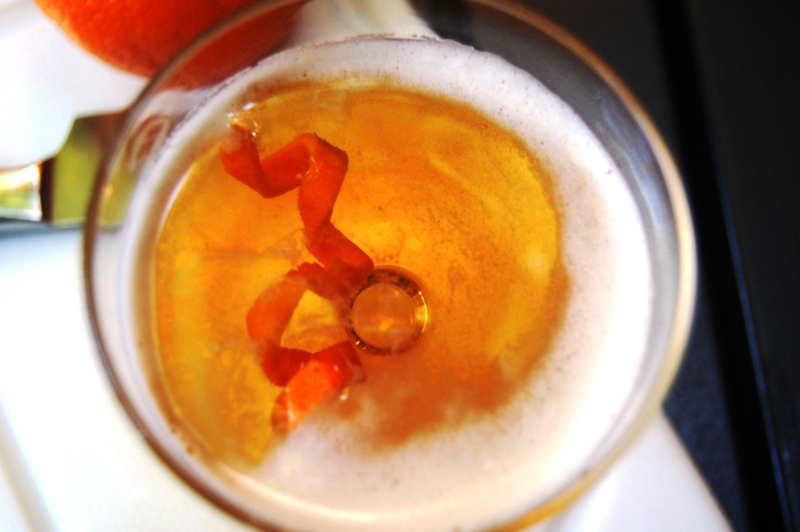 Enjoy chilled with an orange peel.